Mitchell Design proudly provide quality window covering solutions throughout Sydney and surrounding areas, our reach extending to a 200 kilometre radius of the Sydney CBD. We are frequently called upon by major property developers to work as far afield as Bathurst, Newcastle and Nowra – and everywhere in between. For more than 30 years, we have brought outstanding design to Western Sydney, the Blue Mountains and the Central Tablelands. 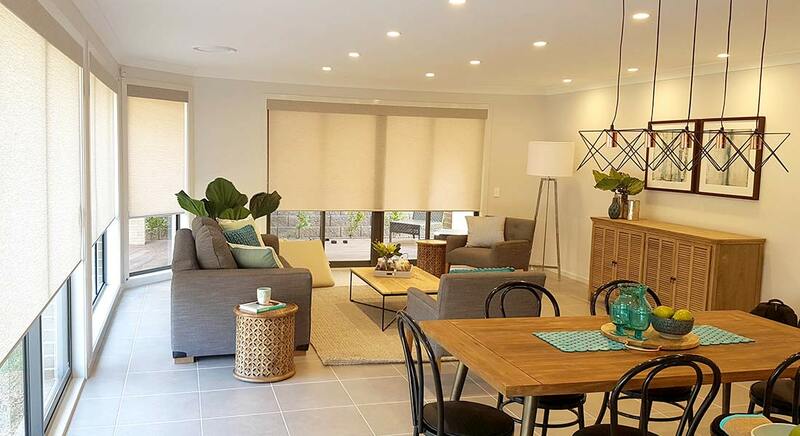 Whether you’re working on a display home in Blacktown, a marketing suite in Lithgow or a residential home in Bathurst, we can provide you with premium curtains, roller blinds, roman blinds and plantation shutters. Our comprehensive service covers every step in the process – from measuring the site and sourcing the finest products to manufacturing and installation. We’re pleased to say that we have built long-term relationships with numerous clients in the area. If your project or home is in Sydney’s north, we are just a phone call away. Just some of the neighbourhoods in which we work are Newport and Palm Beach on Sydney’s Northern Beaches, Turramurra and Hornsby on the North Shore and Kincumber and Hardys Bay on the Central Coast. We’re also more than happy to travel beyond – to Newcastle, Port Stephens and the Hunter Valley. Wherever you are, you can count on our exceptional customer service, attention to detail and dedication to set budgets and timelines. Over the decades, we have worked on numerous residential homes, display homes and marketing suites in Sydney’s southern suburbs. But we don’t stop there. We have also taken our cutting-edge edge design and Australian-made curtains, blinds and shutters to the beautiful South Coast. If you’re wondering whether or not your project falls within our reach, please feel free to get in touch. You can rest assured we’ll make every effort to assist you. Wherever you are based in Sydney and surrounding areas, please don’t hesitate to contact the professional team at Mitchell Design. We are happy to answer questions, provide obligation-free quotes and organise a consultation, at a time convenient to you. Give us a call us today on 02 9624 1114.